Dynamometer load cell approved to Ex ia II C T4 Ga for use in zone 0,1 & 2 hazardous and intrinsically safe load cell. 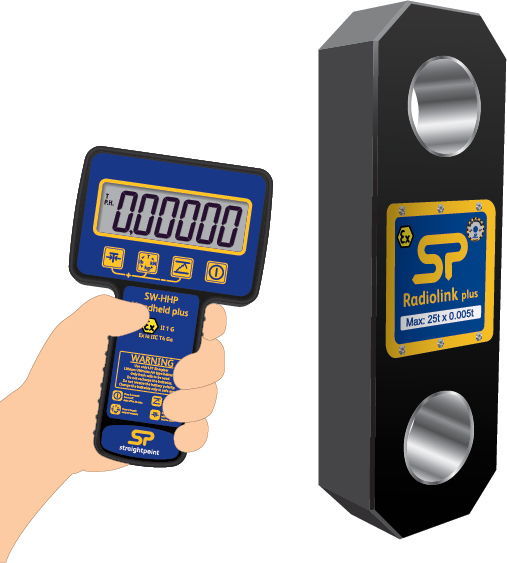 This new version of the bestselling Radiolink plus is capable of both weighing and dynamic load monitoring in hazardous environments such as on and offshore oil, gas and chemical industries in zones classified 0,1 & 2. Available from stock in capacities from 1t to 300t, constructed from high-quality aircraft grade aluminium and featuring an advanced internal design structure. 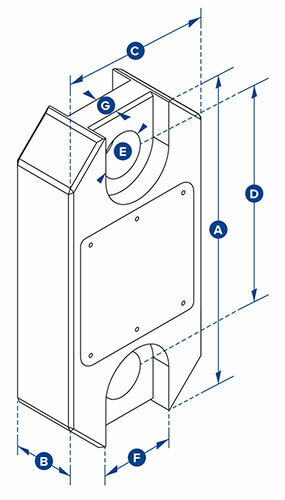 This internal design structure not only provides the product with an unrivalled strength to weight ratio but also allows the use of a separate internal sealed enclosure providing the load cell's electronic components with IP67/NEMA6 environmental protection even with the battery cover plate missing, making this industry leading dynamometer even more suitable for use in the harshest environments.Featuring industry leading wireless technology and range, the versatile Radiolink plus - ATEX is supplied with an update rate of 3Hz and can be easily configured to run at industry leading speeds of up to 200Hz. Data is transmitted wirelessly utilizing the latest in IEEE 802.15.4 (2.4 GHz) technology providing safe, high integrity, error free transmission of both static weight and dynamic load to an approved wireless handheld controller, the SW-HHP- ATEX The Radiolink plus- ATEX utilizes easily sourced Energizer® Ultimate Lithium AA Batteries and features advanced circuitry designed to protect the loadcell from damage if the batteries are incorrectly installed. This advanced circuitry extends battery life and the use of easily sourced batteries eliminates issues associated with rechargeable battery pack charging, failure and replacement. 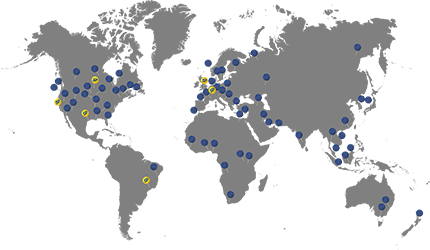 It is easy to see why globally the Radiolink plus - is the number one choice for weighing and dynamic load monitoring in hazardous applications. Finish: Black anodized to BS EN 12373-1:2001 Class 10. Bushes clear passivated. 3/4" 3/4" 1" 1 3/8" 2" 2 1/4" 2 1/4" 2 3/4" 3 1/4" 3 3/4" 4 3/4" 5" 6" 6"